One of our earlier cases was 1310 Haskell St, Berkeley, CA. Here, Cristian wanted to replace one single family mansion in a low-rise South Berkeley neighborhood with three working class homes, each selling for less than $800,000. The alternative was to flip the property for millions, which was what the City of Berkeley voted for in violation of the state’s Housing Accountability Act. 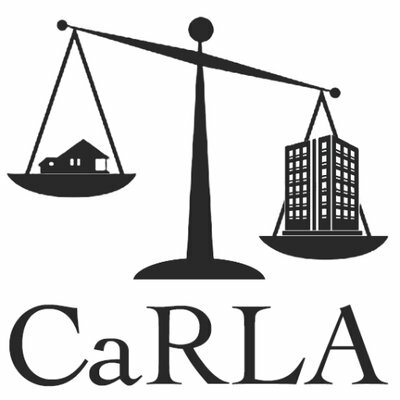 CaRLA sued in response. Adding three homes where there was only one mansion will not end the housing shortage on its own, but flipping a mansion for millions can only make it worse and contribute to the gentrification of South Berkeley. We ended up winning and Cristian got their project approval. Yup, 1310 Haskell St is under construction! Above you can see the skeletons of the three homes as they are being built. Had CaRLA not stepped in to save this project, we would be looking at a regular gut+flip of the previous mansion; such an outcome would only contribute to the already outrageous cost of new housing and further wall off the neighborhood to the working class. But that isn’t the whole story. We would not have known about this project if it wasn’t for our extensive network of volunteers who are now part of the Avocado Watch Network. Regular people like our Avocado Watch members are the eyes and the ears of CaRLA across the entire state of California. We have a staff of three and can only be in so many places at the same time, but our Watch Network can be there when we aren’t. If you haven’t yet made your end of the year contribution, please consider making it to CaRLA today. Your support goes a long way, and you can multiply its impact by joining the Avocado Watch Network with a monthly subscription.